If any brand has emerged from the bottom of the market into awareness lately, it's Kia. The Korean brand is halfway through introducing an entirely refreshed line of smart, stylish, and inexpensive vehicles that are getting noticed--and selling well. The 2011 Kia Optima Hybrid we recently road-tested is a good example; few buyers are even aware that Kia offers a hybrid, which is new for this model year and closely related under the skin to the Hyundai Sonata Hybrid. First things first; on a 370-mile weekend test, we got 34.4 miles per gallon overall, with the gas mileage ranging from 31 to 33 mpg depending on our drive cycle. Our own route covered about two-thirds highway, and one third driving locally and on secondary roads. We were mildly disappointed with that mileage, considering that the EPA rates the Kia Optima Hybrid at 35 mpg city, 40 mpg highway, for an overall rating of 37 mpg. Not only that, our Eco screen showed us getting almost entirely flowers and leaves (meaning we were driving economically) and got a total "Eco score" of 29. The real-world mileage was more disappointing because we'd done the entire trip in Eco mode, after finding that the Optima Hybrid's most economical drive mode wasn't as punishing to performance as "Eco" can be on some other makers' models. On the road, the Kia hybrid system drops into electric-only mode at speeds as high as 70 mph. 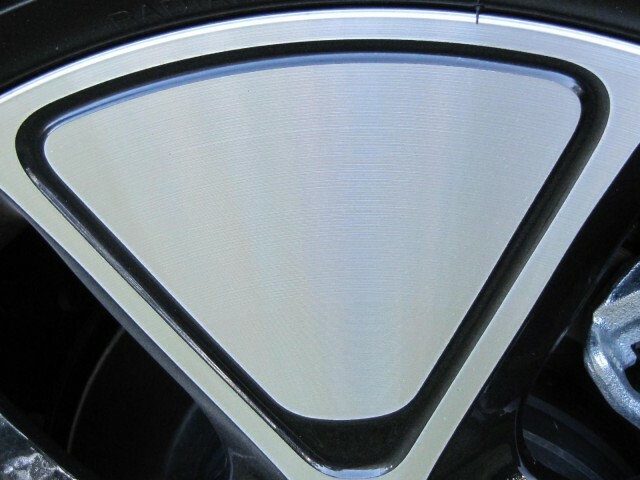 It can accelerate the car solely on electricity up to 20 mph, when the engine invariably kicked on. But as with the related Hyundai Sonata Hybrid, we experienced occasional surging and juddering at lower speeds as the system's two clutches engaged and disengaged to switch from power to regenerative braking. That's a characteristic of a car company's first-generation hybrid, and it usually gets smoothed out by painstaking tweaks to the control software over time. Ford is the best example of this; their system is now seamless, its transitions undetectable, but it has taken the company seven years to get there. We hope Kia and Hyundai travel the same path. The new Kia Optima is strikingly styled, with a very European look that one onlooker commented reminded him a little of a Saab. That's a far cry from the generic econoboxes and bland sedans the brand used to sell, and it kicks Kia up a notch in the eyes of buyers. Inside, the Optima Hybrid has a clean design with an instrument panel angled slightly toward the driver. Again, it gives a slightly Saab-like feel, though the Optima has fewer quirks than the struggling Swedish brand. The sand and black two-tone leather interior in our silver Satin Metallic test car was particularly luxe feeling, and on a hot August day, the luxury of cooled front seats was particularly welcome--very few mid-size cars of any stripe offer this feature, much less hybrids. Despite numb electric power steering, the handling was good and the Optima Hybrid held the road beyond the point to which most family-sedan buyers would test it. Among the exterior lines, cabin layout, luxury materials, and abundance of features, the car left us with the same question asked by a few observers, "Is this really a Kia?" And Kia has done a pretty good job of allocating interior space for all the gadgets we carry. The cupholders between the seats could be used for phones, change, and toll receipts, since we could put water bottles or sodas in the holders at the front of the door pockets--a simple detail far too many carmakers neglect. All this goodness didn't come cheap, however. 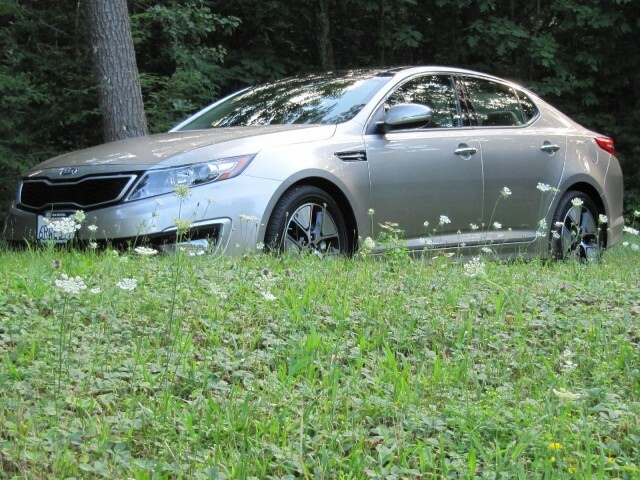 Our 2011 Kia Optima Hybrid test car carried a base price of $28,500, plus a mandatory $750 delivery fee. But on top of that was a $5,000 package that included the navigation system, satellite radio, and backup camera; a huge panoramic sunroof; high-end Infinity audio system; alloy wheels carrying 17-inch tires; heated and cooled front seats with memory on the driver's side; heated rear seats and steering wheels; and a self-dimming rear-view mirror. 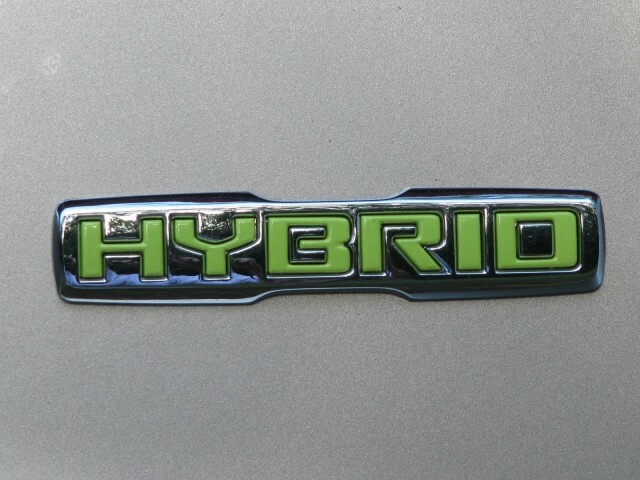 The total sticker was $32,500, meaning that the Optima Hybrid plays directly against the excellent Ford Fusion Hybrid, the new-for-2012 Toyota Camry Hybrid; the upcoming 2013 Chevrolet Malibu Eco; and its own corporate sibling, the Hyundai Sonata Hybrid. Which mid-size hybrid would you choose? With all the contenders returning real-world mileage between 33 and 40 mpg--meaning a difference of only 5 gallons every 1,000 miles--it may come down to a question of styling. 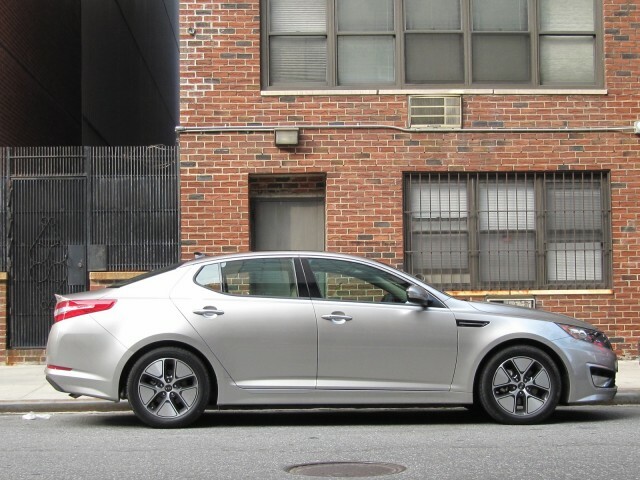 The Korean Optima may be the most "European" mid-size hybrid sedan available in the U.S. The 2012 Camry remains bland, the Fusion Hybrid is straightforward, and the Sonata is the most expressive and swoopy. All are good alternatives and, in a way, it's a testimony to the continuing evolution of hybrid technology that buyers have so many good high-mileage mid-size sedans to choose from. Which would you choose? Leave us your thoughts in the Comments below. Kia provided this test vehicle to High Gear Media to enable us to bring you this first-person drive report. Forbidden Fruit: Kia Ray Electric Car Not Due In U.S.